New publication by Mammoth author Robert Day (click title to order): Let Us Imagine Lost Love by Robert Day from Thane and Prose Press: The unnamed narrator of Robert Day’s new novel designs gift books–abecedarians, agendas, address books, “blanks,”– at his KansasCity apartment in between assignations with his “Wednesday Wives,” Chekov, the dictionary, and a fabricated religion, all of which are substitutes for his lost love. Robert Day describes the genesis of these eight pieces: “All of the essays in this section I wrote for—or because of—my association with the Prairie Writers Circle, a group of authors brought together by Wes Jackson of The Land Institute. They were republished by newspapers all over the country,” and many of them appeared on national and international websites. Day presents opinion-editorial pieces that read like well wrought fiction. The title essay is about one of the most famous writers of the grasslands, William Stafford (1914-1993). This National Book Award-winning poet advocated for environmental and social awareness throughout his career. 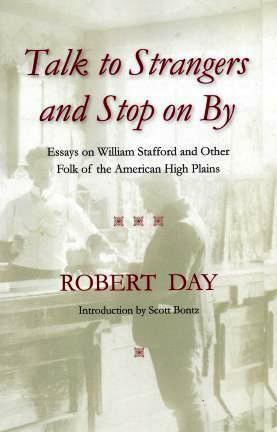 The William Stafford Centennial Conference at Washburn University (31 March 2014) was the occasion for the launch of this book. All of Day’s essays are models of craftsmanship, as they effortlessly present issues of water and fuel shortages, depopulation, and the human dimension of farming the Great Plains. Scott Bontz describes the mission of the Land Institute in the book’s introduction as “at once cosmopolitan and rural.” This describes Day’s superb writing. napped on their bench, twitching. Like old hunting dogs loaded with dreams. 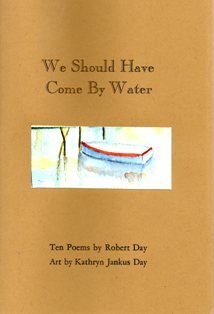 ABOUT THE AUTHOR: Robert Day is a premiere writer of our day. His The Last Cattle Drive was a Book-of-the Month Club selection. His short fiction has won many awards, including Seaton Prizes, a Pen Faulkner / NEA Prize, and Best American Short Story and Pushcart citations. BkMk Press recently published his short fiction collection Where We Are Now (2012). His nonfiction collection is The Committee to Save the World, with individual pieces previously published in Washington Post Magazine, Smithsonian, Forbes, American Scholar, and World Literature Today. The Canadian online journal Numéro Cinq is serializing his novel Let Us Imagine Last Love, which they will publish as an e-book (2014); Mammoth Publications will publish the print edition (2015). Day resides part of each year in the far western corner of the state and in Maryland. 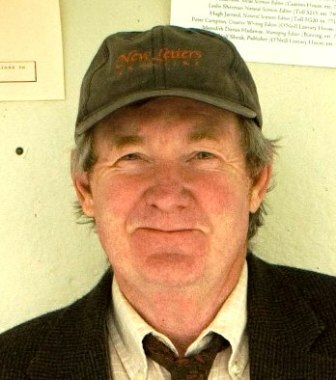 He taught at Washington College in Chestertown, Maryland, in addition to residencies at Montaigne College of the University of Bordeaux, The Iowa Writers Workshop, and The University of Kansas. Robert Day received his MFA in Poetry at the University of Arkansas. ABOUT THE ARTIST: Kathryn Jankus Day has exhibited in the United States and France.